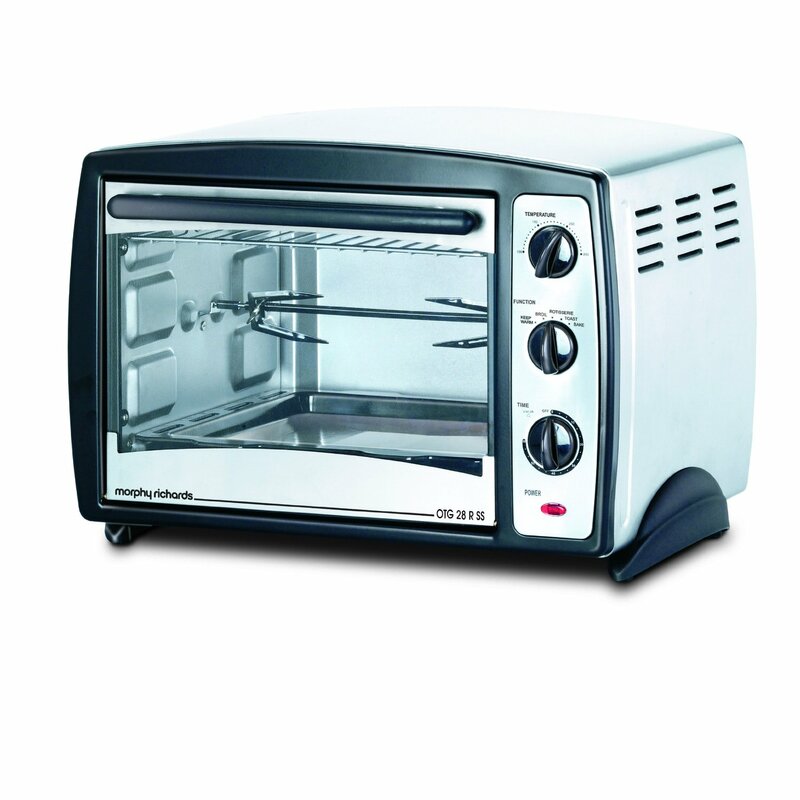 An Oven Toaster Griller is a popular choice in India for baking. Here is in brief, how to use an OTG, how to pre-heat , the bake ware you could use and a few more tidbits. Most OTGs have similar features, but each oven works differently. So please take this as a general guide. Do read your manual for instructions, keep baking. With usage you will figure out what works best for you in your oven. I use a Morphy Richards 40 L OTG*. You could also check Bajaj and Sunflame. You can also watch my video on using an OTG (in English and Hindi) to get a better idea.Please subscribe to my channel to watch a new video every Monday! Click here to subscribe! Wire rack: The wire rack is for baking, toasting. You could also place your baking tray on the wire rack. A non-stick baking tray for baking breads, pizza. Cookies too if it works for you. A crumb tray, which always remains in the oven. It will keep the floor of the oven clean, anything falls on this and you could just remove, clean and put it back. A rotissiere rod used mostly for cooking meat. Tongs to help you pull out the baking tray. But again I would prefer to use two kitchen towels for better grip. The oven has grooves.along the side walls In some ovens the groove doesn't run along the entire wall, so your tray may tilt when you try to slide it in.You can place the baking tray or wire rack in one of these, adjust the level to your need and what works best for you. If your oven has a convection setting, it will have a fan as well, to circulate the hot air and help in even baking. A light for the chamber. The indicator light on the outside goes on and off as the oven heats, much like our iron box. Ovens with less capacity normally do not come with fans, have fewer groves, no light and no rotissiere. OTGs have these heating elements at the top and the bottom, you can turn on either one of these or both simultaneously. More detail on that later. The oven has 3 knobs, manual in most OTGs. The temperature knob - The lowest is 100 C and the highest is 250 in most ovens. The temperature in my oven is marked as . So if you would have to set the oven at a temperature not marked here, you would need to set it roughly. 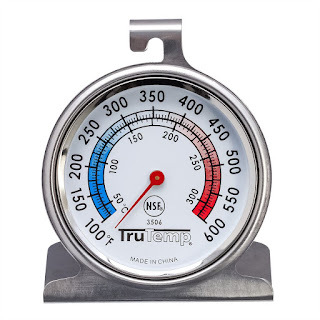 A good oven thermometer can help you check and verify the temperature, set it accordingly. The function knob : This helps you set your oven to different modes according to your need and what works best for you. When you turn the knob to the bake function, only the bottom heating element heats up. When you turn the knob to the grill, the top element heats up. On convection mode, the fan, the top and bottom elements heat up. I wish I could use the fan with just the bottom element, but that is not possible. I prefer to bake with just the bottom element on with the rack in the second grove. You can also try the convection mode, but it can be tricky. If you bake with just the bottom element and want your bake to look a darker color, turn on the top element for a couple of minutes. Baking simultaneously on two levels may not always work, but if the oven is large enough you can place two tins side by side. I know this sounds confusing, experiment with the oven and decide what you like best and what works best for you in your oven. The timer : Sets for a max of 90 minutes. Using the timer bypass function, you can keep the oven on for longer than 90 minutes, it will get switched off only when you turn it off manually. Just turn the knob anti clockwise for this. The bake ware could be silicon, aluminum, ceramic or oven safe glass bakeware like Borosil. I like aluminum best. Be sure the baking tin is not too big for your oven. Once you place the tin inside, there should be enough space around the tin. You should also be able to close the door properly. If it is even slightly open, the heat will keep escaping and your cake or cookies may not bake properly. Preheating is a very important step in baking. Let us see how to preheat an OTG or an Oven Toaster Griller. Whenever you bake anything, you will first need to make sure the oven is heated to the temperature specified in the recipe. This is called as pre-heating. Pre heating in an OTG normally takes about 10-15 minutes,it may vary from oven to oven. So you will need to start with first pre-heating the oven to make sure the oven is ready by the time the cake or brownie batter is ready. Once the batter is mixed, you do not want to keep it waiting, it has to go into the oven immediately. But do follow recipe instructions always. To preheat ,we need to first place the rack in the oven. If possible in your oven, follow recipe instructions for placing the rack. 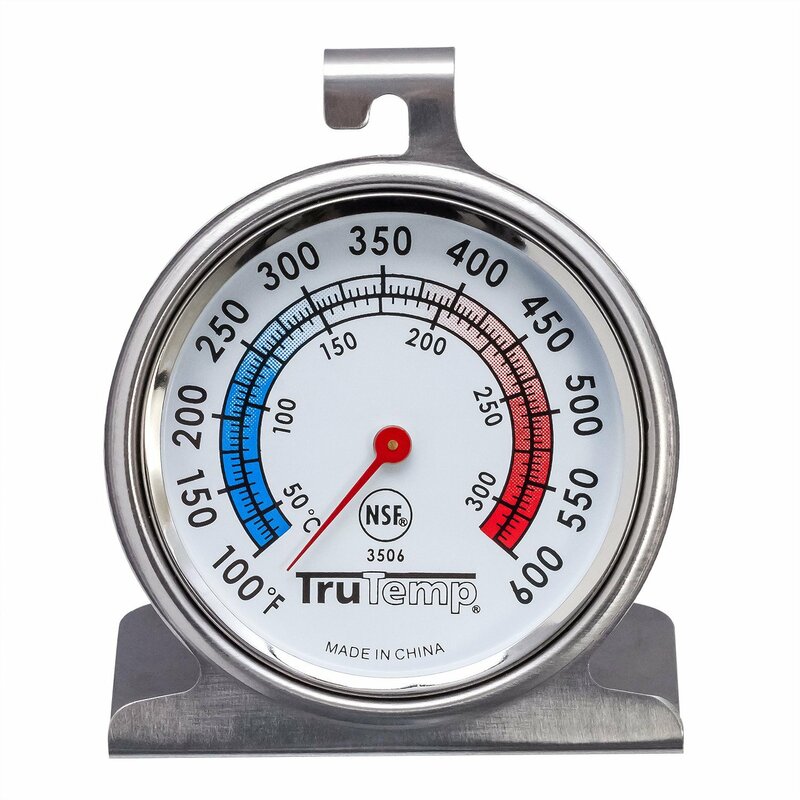 Place the oven thermometer on the rack at the level and the spot where you will keep your baking tray. Now, close the door. Set the function, say bake, at 180C. As you use the oven you will get a rough idea about how long it takes to preheat. Depending on that you can start preparing the batter. Avoid opening the door repeatedly in between the as heat will escape. The first recipe to try could be a safe and simple granola. The indicator light of the oven will keep going on and off like our iron box. Once the batter is ready, you need to open the door and quickly, first check the thermometer, if it is at 180C and ready. Keep the tin in, close the door. And set the timer as needed, say 30 minutes in your recipe. As the baking time may vary for each oven, check earlier, at 25 minutes. After 25 minutes, remove the cake out, keep the oven on, close the door. Check if the cake is done and then put it back again if needed. Set the timer for more time if needed. At the end of the time you have set the oven, you will hear the bell. If the cake/bake is done, take it out. 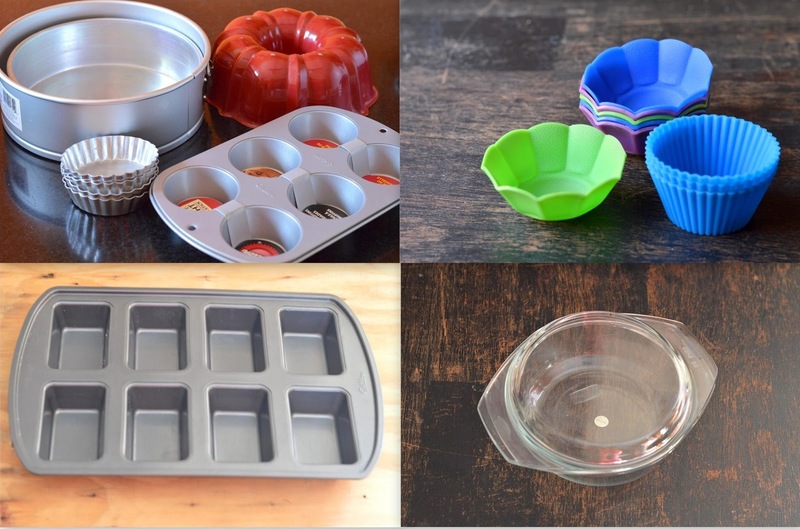 Bakeware: You can use aluminum, silicon and oven safe glassware. In some recipes like cookies, the recipe may instruct you to rotate the tray halfway through baking. If the total baking time for the cookies is say 16 minutes, you will need to remove the tray after 8 minutes, turn the tray around and put it back in again for the remaining baking time. This helps ensure the baking is more even. If you would be baking cookies on two levels, you would need to reverse the position of the trays from upper to lower and lower to upper as well. Fussy? You bet! Change the positions of the baking pans as recommended in the recipe for pies layer cakes and bread. Do not rotate sponge cakes or they will collapse! Your oven may sometimes have hot spots, area or areas in the oven which heat up more than the other areas. All ovens tend to lose their calibration over time, so it is good to have it calibrated now and then. One way Rose Beranbaum suggests to test if your oven is heating properly is to bake her All Occasion Downy Cake. If your oven is heating properly the cake will bake exactly in the time specified in the recipe. Each oven,even if it is the same brand and model, differs. So it may take you some time to figure out how your oven works and what works best for you. This post is just to give you an idea, please stick to what works best for you in your oven. Would love to hear your comments and feedback on this post! Please note:*This post contains affiliate links. This means if you click on the link and buy through the link, I will earn a tiny commission on the same. I recommend products which I have used and found good.You will be paying the same price as mentioned on the website, there will not be any variation here. This commission will help me with me costs of running the blog and channel. Your support will be greatly appreciated. 90 Plus Must-Know Tips For The Aspiring Baker!